The snowmobile injury accident lawyers at Buckfire & Buckfire, P.C. help victims and their families after a serious snowmobile accident. We understand the devastation that these types of accidents can have on you and your family. We have won substantial settlements in snowmobile lawsuits. Snowmobiling provides great fun and excitement; however, snowmobile accidents are far too common and can result in serious and tragic injuries. Accidents are caused by other snowmobile operators, crashing into motor vehicles, and from unexpected dangerous hazards on private properties and public trails. Snowmobile passengers can also have a claim against the driver of the snowmobile they were on or against other people whose negligence caused the accident. Serious and catastrophic injuries result from snowmobile accidents in Michigan. In the 2014-2015 season, there were fifteen fatal snowmobile accidents. Many of these were caused by snowmobiler driving at an excessive speed and crashing into a tree or other stationary object, like a steel pole. Several non-fatal accidents occurred the same way and in many crashes an innocent driver or passenger on another snowmobile was struck by a snowmobiler driving recklessly or while under the influence of alcohol or drugs. Many accidents occur on roadways and highways, while other crashes happen on public and private trails. Common injuries include traumatic brain injuries, spinal cord injuries, knee injuries, and serious bone fractures. In cases involving a fatal snowmobile accident, we file a wrongful death lawsuit on behalf of the surviving family members. Victims injured in Michigan snowmobile accidents do have legal rights. Drivers who cause accidents can be held accountable for monetary damages if they are negligent in the operation of their snowmobile or intoxicated at the time. 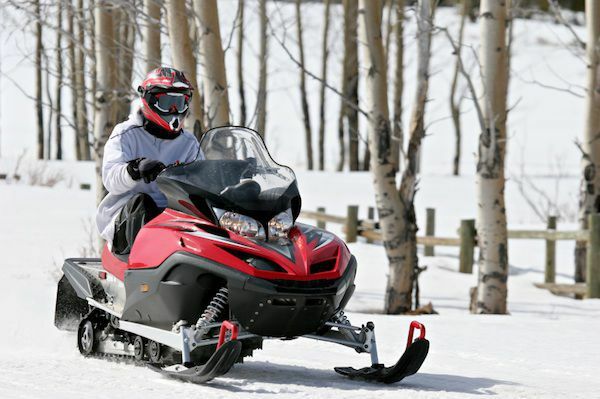 Property owners can also be held liable if they are aware that snowmobile riders use their property and they have known dangers on the property. Snowmobile accident lawsuits seek compensation for the physical and psychological injuries resulting from the crash. These include pain and suffering, disability, and loss of enjoyment of life. Medical bills and lost wages are another form of compensation in these cases. In fatal accident cases, a wrongful death lawsuit seeks compensation for the pain and suffering of the victim before death and for the loss of society and companionship for the family members. Our award-winning attorneys will represent you in your Michigan snowmobile accident injury case under our No Fee Promise. This means that you will not be charged any legal fees whatsoever unless we obtain a settlement or recovery for you. You have absolutely no obligation for legal fees unless we win your case. If we do not obtain a settlement for you, you owe us nothing! If you or a family member were injured in a Michigan snowmobile accident, contact our experienced personal injury accident lawyers immediately to discuss your case. Call us at (800) 606-1717 or submit the Get Help Now box on this page.